The Navy Times reports that Admiral Richard Lyon dies at 93. 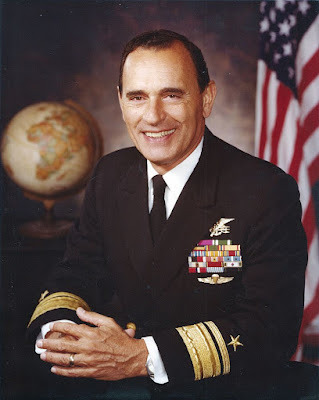 Lyon served four decades in the Navy, including World War II and the Korean War, and was among the first U.S. troops to enter Japan after the atomic bomb was dropped. He went on to work as a Scout intelligence officer in northern China and later served in Korea. ... Lyon died Friday surrounded by family and friends at his beachfront home in Oceanside, north of San Diego, said lifelong friend Kelly Sarber, who met Lyon as a child because her father was also a SEAL.